I thoroughly enjoyed not one but two meetings of the Literary League recently, during which we ate delicious food and talked ourselves hoarse. I received several very helpful suggestions about things readers might like to see in the next volume of The Cendrillon Cycle. What about you? What things in The Battle of Castle Nebula intrigue you and make you want to know more? What things are you sick of reading about? Other recent adventures included a girls’ night at the farm and watched Charade with Audrey Hepburn and Cary Grant. One day I meandered around the North Carolina Museum of Natural Sciences and the North Carolina Museum of History with my beau (which is by far the best way to tour a museum, in my opinion). Last week I turned 28 and enjoyed a lovely dinner with loved ones to celebrate. I also got a haircut for my birthday; Mom obligingly chopped off a foot for me, since it was getting too long to manage easily. If anyone wants to make their own extensions or something, hit me up! Also, if anyone knows any methods for inducing snow, give me a shout. I’m not above snow dances or building my own weather satellites in my quest to have enough frozen precipitation to build a snow man. This winter has been most disappointing in that regard. A compendium of abandoned greenhouses. The lost city of Thonis Heracleion. A little-known way to get out of execution during the Middle Ages: find some girl to marry you. My friend Sam is back into blogging and posting about Notorious with Ingrid Bergman and Cary Grant. Ballet slippers that make drawings from the dancer’s movements. If Disney princesses had realistic hair. A coworker gave me Z: A Novel of Zelda Fitzgerald by Therese Ann Fowler with the uninspiring promotional statement, “I didn’t like this enough to finish it, but maybe you will.” I finished it, but not because I liked it; I just hate leaving things unfinished. I should know better by now than to expect to love anything on the best-sellers’ list–we don’t have a good history together. If Z had been exceptionally written, I may have been able to get over my distaste for the actual story, but sadly the writing was fairly mediocre. By the end of the book, I hated both Zelda and Scott Fitzgerald (or rather, these fictionalized accounts of them, since the book is by no means biographical). It seemed as though the author was trying to vilify Scott but at the same time give him a larger role than he deserved in the story. Every account was slanted to make Zelda sound like the victim–and maybe she was–but boy, that got old after awhile. The book meandered to a close with Scott’s death and was both unsatisfying and frustrating as a whole. In contrast, reading Who Goes There? by John W. Campbell, Jr. (originally published under the penname Don A. Stuart) was a phenomenal experience. This story is classic scifi, written by the man who single-handedly shaped science fiction through the magazines he published. A whole slew of classic scifi writers got their start by selling their short stories to Campbell. Not only was Campbell a good judge of writing, though–the man was an exceptional writer himself. Who Goes There? grabs you by the throat from the very beginning and doesn’t let you go. It’s almost more horror than scifi; Campbell crafts the sense of panic so effectively. If you’re a fan of scifi at all, be sure to check this one out. I’m working on A Canticle for Leibowitz by Walter M. Miller, Jr. right now, and it’s fascinating. More to come! I’m pleased to participate in the cover reveal for Anne Elisabeth Stengl’s newest novella, Draven’s Light! Want more? Click here to read an excerpt from Draven’s Light! 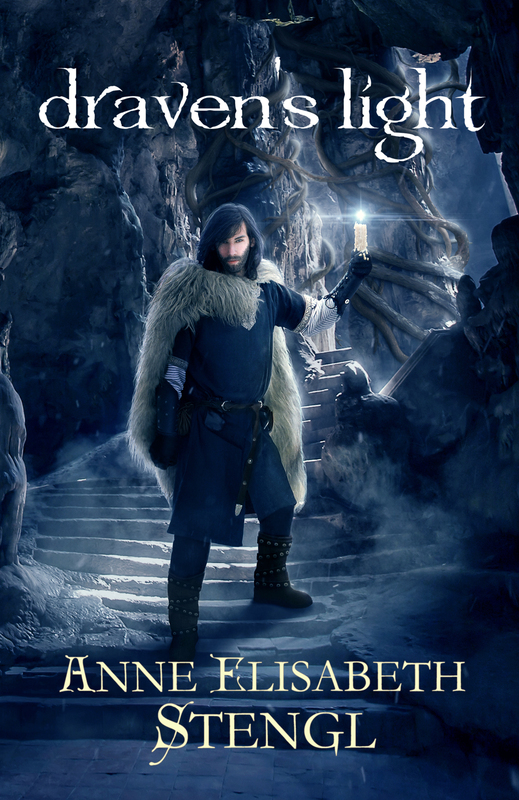 Stengl is giving away three advance reader copies of Draven’s Light. Visit Anne Elisabeth Stengl’s blog to enter the giveaway! You have a body, temporarily. Don’t faint: two posts in one day! Here are some links. Mostly all outdated and sad now, but I hope you find at least one thing interesting? Storytime. Also known as a good way to get punched. Have a script you’re just dying to share? Don’t do this. 7 cultural concepts we don’t have in the US. I particularly found hygge and koselig intriguing! The 60 most powerful photographs ever taken. Factory farms destroying America in eerily beautiful ways. Apollo Robbins: The art of misdirection. Lasting relationships rely on two traits. If toddlers texted, this is what they would say. 16 children and their bedrooms around the world. A 13-year-old eagle huntress in Mongolia. Photoshoot with a 15-year-old elk huntress. Teacher finishes his students’ doodles. Sainbury’s making us all cry with its commercials this winter. 100-year-old message in a bottle found in Baltic Sea. In 2013 in Iceland, police killed a man for the first time in the country’s history. The Old Testament told in five minutes. If you’re feeling grumpy over the Star Wars trailer, watch this modern Empire Strikes Back trailer to make yourself feel better. If you’re feeling brokenhearted over the travesty that was the third Hobbit movie, though, The Last Goodbye with Billy Boyd probably won’t make you feel any better at all. 8 scifi rooms and homes that are out of this world. Folks are hacking their toy Sting swords from The Hobbit to find unsecured wifi. Naturally. Ray Bradbury’s house, which sold for $1.76 million in 2012, is being torn down. WHY. At long, long last, Sufjan Stevens is releasing a new album next month. Cover of The Strokes’ “You Only Live Once” by Kyle Langdon. Cover of Sufjan Stevens’ “Decatur” by other cool people I know. “Baba Yetu,” Civilization IV theme by Peter Hollens and Malukah. “No Exit” by Jacky Bastek. Shonna Slayton, author of Cinderella’s Dress, is doing a series on Youtube called The Cinderella Interviews, in which she interviews the authors of various Cinderella retellings. She interviewed the five authors and the editor of Five Glass Slippers this week, after many technical difficulties and an extreme amount of patience on Shonna’s part, you can watch the video interview here! We were all trying so hard to be polished that we may not seem quite ourselves, but we truly did have a blast. This was the first time most of us authors have had a chance to “meet” each other, so to speak. My recently released Battle of Castle Nebula (The Cendrillon Cycle, #1) is a prequel to A Cinder’s Tale, the novella published in Five Glass Slippers. But! In the spirit of times past, I offer you a comprehensive review of all the books I’ve missed out on talking about since last I wrote a post of this nature. Skim as you please. I admit, I read a LOT of comic books in the last half of 2014, as my longsuffering boyfriend attempted to remedy my dearth of education in that area by loaning me some of the good stuff. I’m still not a huge comic book fan, but I admit that now I can see the appeal in some cases, and I genuinely enjoyed many of them. In spite of mighty skepticism, I read the entire Bone series by Jeff Smith, including Out from Boneville, The Great Cow Race, Eyes of the Storm, The Dragonslayer, Rock Jaw: Master of the Eastern Border, Old Man’s Cave, Ghost Circles, Treasure Hunters, Crown of Horns, and Rose. Several friends had recommended it, but the series just didn’t sound appealing…or sensical. It’s true, it’s not that sensical in its initial premise: they never really do explain why the main characters are cute little bone creatures. And the first story was fairly uninspiring. But you could almost see the author getting more into the story, and the plot grew to become far more complex and intriguing than I would have initially given it credit for. I didn’t like the prequel story, Rose. The art was off-putting, to me, and the story was ultimately fairly unsatisfying. I read The Ultimates, Vol 1: Superhuman and Vol 2: Homeland Security by Mark Millar, both of which are “gritty” Avengers retellings. While they did feel a lot like real people, I could’ve done without some of the more soap opera-y parts of the relationships between the characters. Most characters are morally ambiguous, conceited to some degree, and occasionally downright cruel. Not what you expect to see from so-called heroes, though probably exactly what you expect to see from normal people. I also read Civil War by Mark Millar, which is also about the Avengers, but not the same timeline as the Ultimates. (If there’s one thing I’ve learned about comic books, it’s that continuity doesn’t matter AT ALL. Not even a little.) Again, Millar’s style is to make the characters like real-life people, which could be good…but he mainly ends up making them unappealing. Captain America is (unsurprisingly) the most decent one of the bunch, but I had difficulty working up too much sympathy even for him. I wasn’t sure about the idea of Beowulf by Gareth Hinds. My beloved Beowulf as a comic book? I’m not keen on such blasphemy. But wow, this story is actually PERFECT as a comic book, particularly when you think about how this story would have been the oral tradition’s version of an action movie. Very well-adapted, with some excellent artwork. I read Clone Wars I: The Defense of Kamino by W. Haden Blackman, and I gotta say, this comic book had oodles more character development than the prequels did, which is a little sad. If Episode II had been more like this book, I would’ve thought more highly of it. Pretty sad when the movie is more comic bookish than the comic book. I reread Serenity: Those Left Behind by Joss Whedon, mainly because I had completely forgotten that I *had* actually read it a few years ago. It reads much like a Firefly episode, which is great—but there’s definitely something missing. The story doesn’t feel nearly as alive without the actors to bring their own touches to the scenes. I enjoyed it very much all the same, but it made me wistful for more REAL Firefly. I really enjoyed Batman/Superman/Wonder Woman: Trinity by Matt Wagner. The focus was on character development, but unlike Mark Millar, Wagner made me like the existing heroes more, not less. Superman in particular felt like a fully fleshed-out character for one of the first times to me, and I loved seeing the big three interact—butting heads or helping each other by turns. I reread Dorothy and the Wizard in Oz by L. Frank Baum out loud during a few car trips, and that was a delight, as always. Love those wacky, bizarre books. Eureka the kitten is a tiny sociopath. I also had the pleasure of hearing Fortunately, the Milk by Neil Gaiman read aloud with a group of friends one night, which was also a bizarre, delightful book. A little too random in parts—kind of like the more annoying parts of Hitchhiker’s Guide to the Galaxy—but overall a fun frolic through Neil Gaiman’s strange head. In His Steps by Thomas Nelson Publishers is a comic book retelling of the famous book by Charles Sheldon, which I’ve actually never read. I’m okay with that, though–I feel like I have the gist of the book from reading this comic version. I liked the idea behind the book/comic, but it didn’t particular impact me in the way they were going for, I think. I’m glad I read it and I do value the concept, but the execution was just average. I read most of the Meridian series by Barbara Randall Kesel. The first volume had incredibly beautiful artwork, reminiscent of Maxfield Parrish paintings. Later volumes switched artists and were not nearly as good, which did dampen my enjoyments in some small part. The writing stays the same, though, and the worlds that Kesel creates are fascinating and lovely. I got to hear Fred Chappell read from his book Familiars: Poems at a beautiful poetry reading at Quail Ridge Books here in Raleigh. He and his wife tag-teamed some of the poems, and they were just delightful to watch. They clearly adore each other. I got to chat with Mr. Chappell briefly as he signed a couple books for me, and he was such a gentleman, and so kind and encouraging to everyone with whom he spoke. If you know a cat lover, buy them Familiars; they will inevitably relate. The Face of Battle by John Keegan was an enthralling look at the way battle has changed throughout the years. The book does an in-depth study of the Battle of Agincourt (1415), the Battle of Waterloo (1815), and the Battle of the Somme (1916). I had previously done some study of each of these, but this was far more comprehensive, and being able to compare them side by side and see how warfare has changed (sometimes incredibly drastically, as in between 1815 and 1916) was fascinating. I highly recommend this if you’re at all interested in military history. I got burned by Heinlein in Stranger in a Strange Land, but I enjoyed Starship Troopers so much that I was happy to read Tenderfoot in Space and give it a whirl. So different from either of the two works I had already read! This is a boyscouts-in-space story, complete with a lovable dog and some great alien threats. Highly enjoyable young adult scifi. Because I was remarkably ignorant (for a Christian) of the story, I read Heroes of the Faith: Jim Elliot by Susan Martins Miller after receiving it as a gift from my boyfriend. SO. FRUSTRATING. Reading about Jim Elliot was almost painful—not because of what happened to him, but because of what an insufferable jerk he was for most of his life. I wanted to smack him the entire time. I also have mixed feelings about foreign missions anyway, and this brought all of those conflicting ideas to the fore: as the author hinted, the tragedy might have been prevented if more time had been spent in preparation, linguistic study, and less risky forms of outreach before going out to meet the Auca personally. I still gave the book three stars because the author did a good job of relating the story and of being fairly objective. Classic Russian Fairy Tales by Chris Burgess is a collection of traditional stories with some serious grammar issues, but I love a good morbid Russian fairy tale, so I was willing to overlook the lack of correct punctuation. The book, oddly, had an extensive section on Matryosha (Russian nesting dolls) and lacquer boxes at the end. Neither of those things are mentioned at all in the fairy tales, so that was a random addendum. The author just really wanted to talk about nesting dolls, evidently. Of Men and Women by Pearl S. Buck is a nonfiction work (a long essay, really) in which Buck analyzes gender roles in American and China and how, really, neither country has it right. It was written in 1941, before women had really entered the work force as a result of WWII, and a lot of the points she made are extremely valid for the time. A lot of them are also extremely valid now. I found myself sympathizing with a multitude of her points, although she does go to some extremes towards the end.